Before Rachel got into makeup design she studied fashion marketing and management at The Art Institute of Michigan in 2010. After just one semester at The Art Institute, Rachel was accepted into the study abroad program in Paris, France. While overseas, Rachel studied at The International University of Paris, continuing her education in Fashion Marketing and Management. After returning home from Paris Rachel began to realize her passion was actually not fashion and was cosmetics. After working numerous retail jobs for the next four years, she then realized she wanted to go back to school at Astute Artistry for Makeup Design in film and fashion. 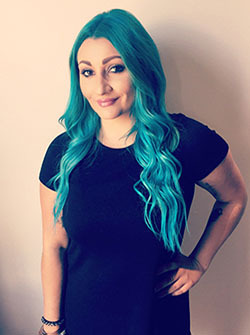 Rachel finished school for makeup design and thereafter accepted a job at Indigo Salon, Spa & Boutique as a professional brand ambassador and makeup artist. Rachel Specializes in glamorous makeup for Prom, Weddings, Magazines, and Special Occasions. Rachel also loves Natural Makeup, Avant-Garde, and High Fashion looks as well.